Alfredo A. Sadun, MD, (left) and John A. Irvine, MD. Two years ago, UCLA Stein Eye Institute joined forces with Doheny Eye Institute, a vision-research center founded almost 70 years ago. The result was the creation of Doheny Eye Center UCLA. The Pasadena practice is located on the campus of Huntington Memorial Hospital. There also are Doheny Eye Center UCLA offices in Arcadia and Orange County. 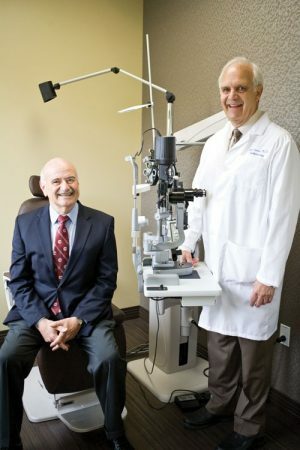 “All of our 16 board-certified physicians are faculty members within the UCLA Department of Ophthalmology and offer specialized, high-level care to patients while also teaching and conducting research,” says Alfredo A. Sadun, MD, PhD, vice chairman, Doheny Eye Center UCLA, and neuro-ophthalmologist at Doheny Eye Center UCLA in Pasadena. While the primary focus at Doheny Eye Center UCLA is on diagnosing and treating complex eye diseases, such as macular degeneration and Graves’ disease, UCLA eye specialists also can assess ocular health through screening protocols and complete eye exams. 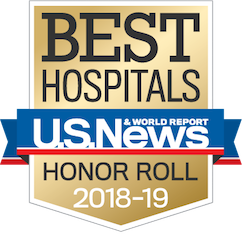 “We are a full-service vision resource for all members of the UCLA Health community, including employees,” says Dr. Irvine. As faculty at an academic research facility, Doheny Eye Center UCLA physicians have access to cutting- edge diagnostic and treatment tools. “We regularly test new devices for developers before they’re available anywhere else and provide patients with the opportunity to participate in some of the most promising clinical trials,” says Dr. Sadun. UCLA Department of Ophthalmology faculty also see patients at UCLA Stein Eye Institute in Westwood, Stein Eye Center in Santa Monica, and major affiliated medical centers in Sylmar, Torrance, and West Los Angeles. To learn more about Doheny Eye Center UCLA, visit: uclahealth.org/doheny.